Hey guys, I am new here and I just bought a Lazair series III yesterday. I am located in North Carolina and don't really know a ton about them. When I was younger I remember them being fairly popular in the early 90's and saw several. What do I need to know? The planes I have flown usually cruise around 60 mph and have a narrower wingspan. What characteristics do I need to be aware of? How will it fly? Does it stall easily on take off because of it's lack of airspeed? This particular plane has been sitting for about three years, but the tedlar covering was replaced the same year and it has been hangered. I don't know much about the Rotax 185's, but I do see they have diapraghm caruretors. Is there a retrofit to change to a float type carb? Who is the best to do a rebuild on these engines? Do the bi-props need to be replaced because of age and is there a better design available to increase speed? Will this thing handle like a taildragger? Thanks in advance for any and all iformation as I am clueless on this aircraft. Sorry to see that you are not getting any response. The site has recently become a bit of a "revolving door" where new people pop in and ask a few questions and then disappear. The "tenured" staff here tend to wait around for a good while before they start answering what could be pointless questions. Apparently lots of people have no real plans of doing anything but want to plague the site with their dreamy BS and never gonna' happen plans. Lets call those folks "Lazair Speculators". Others seem to use the site only for their immediate pressing needs. One guy likened it to a rat who runs out the hole grabs a morsel of cheese then scurries back to the nest. Only time the Mr. Rat shows back up is when he wants another bite of information cheese. Inexcusably many "normal" members of the group seem content to visit the site almost daily reading, searching and lurking around while adding absolutely nothing. Many of these very same people have received information from this site yet fail to reciprocate when they could be of help or simply provide an idea-opinion-picture-something. Really sad because many members have interesting experiences to share, good ideas and great innovations. Personally I think there must be another Lazair site somewhere out there where people still talk about Lazairs. I have an idea some Lazair talk does indeed still go on but now purely behind the scenes. Surely much energy there is dedicated to second guessing quality information presented here. Many of the behind the scenes coward "second guessers" are the same ones who have never posted pictures of their planes or even worse have no actual hands on experience. Sorry for the rant. What was your question again ? Sorry newbie, my only experience is with the series one so I don't have any factual info to offer. My nickname in high school was "squirrel". That's pretty darn close to a rat. The Lazair is very easy to fly for anyone who is a licensed pilot or who has received adequate pilot training. We fly from a glider club and have let several glider only pilots fly the Lazair. They all did quite well. Taxiing gives the newbies the biggest problems. Our wheel breaks do not work well so we have to use differential thrust to maneuver. The Lazair stalls at about 17 mph. The stall is gentle without any wing dropping tendency as long as a proper recovery is executed. The Lazair climbs best between 20 and 25 mph. My take off procedure is to lift the tail with a little forward stick. I then relax the forward pressure and wait for the speed to increase. I hold a little left aileron so as to feel when the right wing begins to fly. When that happens I neutralize the aileron and add just a little back pressure. The Lazair will not rotate. It will climb like a very slow elevator. I usually hold about 20-22 mph in my initial climb and increase to 25 after about 200 feet. The Lazair will cruse at about 40 mph. To land the Lazair I just fly it down to the ground at about 30 mph with reduced power. I skim along at a foot or so above the ground and when I reach the place I want to land I pull off the power. The Lazair will slow down immediately and start to settle. I use a little back pressure to get to the three point attitude and wait for the plane to settle in. On the ground roll out I use the rudders and differential thrust as needed. If you get behind you will probably ground loop but that results only in a little embarrassment provided you dont run into anything. The 185s on our Lazair have run very well with one exception. One engine quit for some reason that we have yet to determine. Unfortunately the pilot was flying low at the time and was unable to maintain altitude on one engine. He landed in fully grown corn and damaged the fuselage tubes. The wings and tail were not damaged. We are currently making repairs. I suggest that you check the compression of your engines and test run them. If they will reach between 5500 and 6000 rpm they probably dont need an overhaul. There is good 185 info on the Lazair web site. Parts are available. I will let you know the source in a few days. We initially used the bi-props on our plane. They are quite old but seemed to work quite well. Later we change to some Prince wood props which increase the performance somewhat and are somewhat quieter. We broke one of them during the forced landing. Our Tilitson carbs seem to work well. You need to replace the diaphragms every season. I dont know of a replacement float type carb but if you use one you will need a fuel pump. Let me know if you need any additional info. If you google Lazair you will find all kinds of useful info. I forgot to mention that we have a variometer installed in our Lazair. If you want to climb high it is best to find a thermal and circle in it. You can reduce power to about 4500 rpm and if you have a good thermal you can climb like a homesick angel. I find the Lazair difficult to thermal with power all the way off but with some power it will thermal quite well. One more thing. The Lazair is low on power and speed but quite high on fun. Everyone who has flown our Lazair loved it. Its controls are just like it bigger cousins. It is easy to handle and provides an low and slow platform from which to watch the world below. Just keep a place to land within one engine gliding distance. I must confess that read this initial post and did not reply since most of these questions can be found on the various posts. I've certainly recieved A LOT of help and info from this site to assist me in my restoration. I am grateful for it and hope to be one of the go to guys here, but still consider myself a relative new commer. 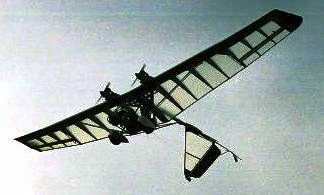 (I've been around Lazairs since the early 80's, but only flying them since '00). 89 Charlie's comments about series III flight characteristics are good. There is not a whole bunch of power, but this wing does not need it because of it's effieciency. Climb takes time.....if you want to climb like a raped ape then try one of the fine products from McDonnell Douglas! As for the carbs, the Tillotson carbs work very well on the 185s. I love the simplicity with the small proven 185s and wouldn't change a thing about them. My brothers seris III still has the biprops and they are still in great shape. Prince p-tips are suppossed to be a notable improvement. I'm in there with Dave on this one. If it weren't for the info that's available on this site I might not have been able to have found my Series III and been as confident in my rebuild. I'm not a lisenced pilot and only have a few hours of flight time in a Censa 150 and Swiezer 232 accomanied by a few more hours of taxi time in my Lazair. So with my limited expierince with flight I've been a little reluctant to make coments. But the description Charley 89 gives is the way I've approched flying my Lazair without the flight to altitude. Good luck with your Lazair. Post lots of photos. "without the flight to altitude". Hey Don, aren't you forgetting that 30 ft. high crow hop? That 's flying to altitude to me! Well, you know the old saying, any landing you walk away from is a good one!